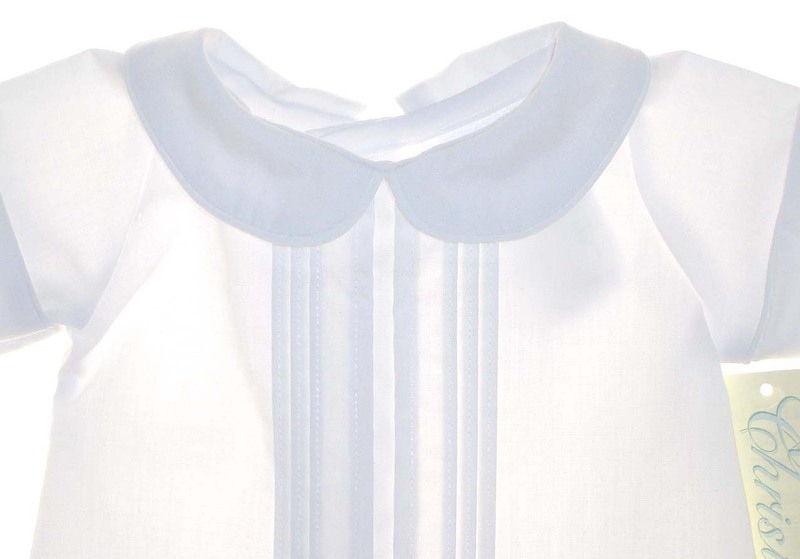 This sweet little cotton blend gown has pintucks down the front, a Peter Pan collar, short cuffed sleeves, and a buttoned back closure. It even has a matching hat that ties under the chin. Garment is not sheer as pictures at left appear. Photos are backlit to show details. Fabric is cotton blend batiste and will appear more like image of hat below. 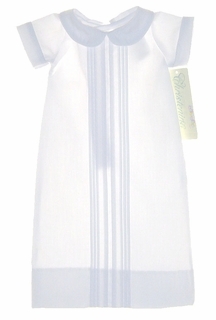 Size small preemie shoulder width=5"
Perfect take home outfit or christening gown for your new small preemie or newborn boy! Note: These gowns run very small. 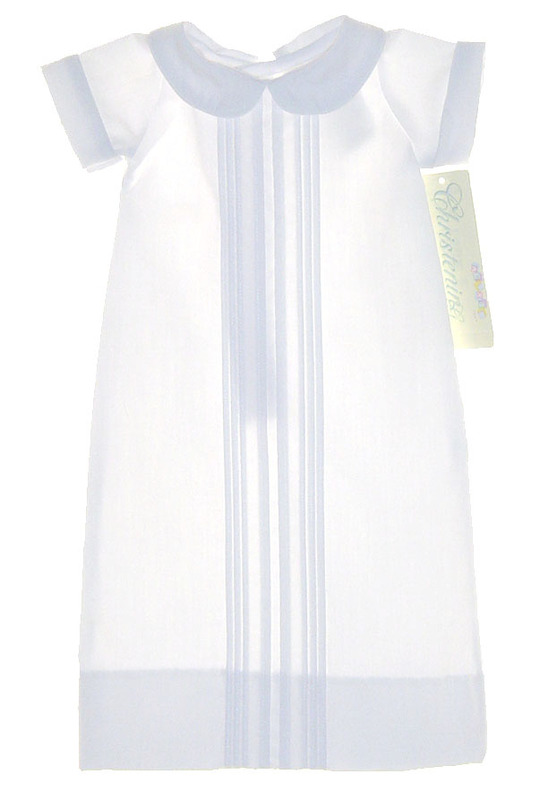 Size small preemie will fit 3 to 6 lb. Size 3 months will fit newborn to 10 lb.